Happy Easter! I decided to try something a bit different this year that incorporated one of my all time favourite things: salted caramel. Panna cotta is one of the easiest desserts to make, the only tricky bit of this recipe is actually peeling the duck eggs. I did a few different experiments ranging from the REALLY easy (simple moulded vanilla with salted caramel topping) to the slightly trickier panna cotta with hidden salted caramel centre. We are very lucky here in Melton Mowbray to be able to get hold of fresh duck eggs very cheaply so I used those as the white shell looks fab. You can use any egg shell though, sadly my chicken doesn’t lay those very pretty pastel blue eggs otherwise I would have used those. This recipe makes a nice big jar of salted caramel sauce that will keep nicely in your fridge for a couple of weeks, not that it will last that long as it’s highly addictive. Pop the gelatine sheets in a bowl of cold water to soak. Put the cream, milk, sugar, vanilla seeds and pods into a saucepan and heat gently until it simmers then remove from heat. Squeeze any excess water from the gelatine sheets then stir them into the cream mixture until completely dissolved, remove the vanilla pods, pour into ramekins and put them in the fridge to set for about 2 hours whilst you make the caramel sauce. Put the butter, sugar and water into a saucepan over a low heat. It’s important that you don’t stir it, simply swirl the pan to mix everything and agitate it every now and again, it will start to bubble and get darker. After about 3 -4 minutes of bubbling very quickly whisk in the double cream and add the salt. Taste and add more salt if needed (If you want a darker caramel let it bubble longer before adding the cream). Once the panna cottas have set simply turn out onto a plate, top with a dollop of caramel sauce and a few more flakes of vanilla sea salt. If you are having trouble getting the panna cotta out of the ramekin just pop it in a bowl of boiling water for about 10 seconds to loosen the sides and turn out. First you need to remove the tops from your duck eggs, this recipe makes about 12 eggs. 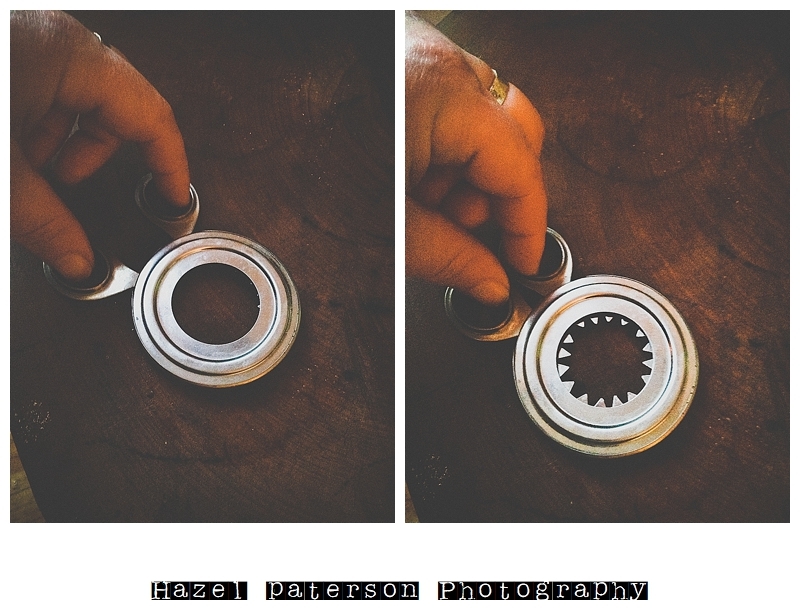 I picked this little gadget up for 99p and have FINALLY found a use for the bloody thing. It neatly nips the top of a raw egg. Pour out the raw egg into a bowl and put in the fridge to use for something else (I made kickass duck egg pasta). 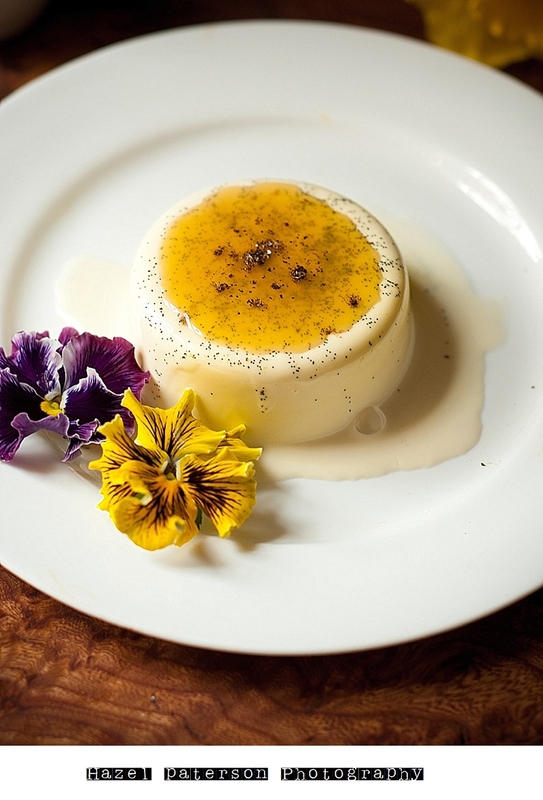 Make the caramel sauce and panna cotta mix as above using the extra gelatine sheet. 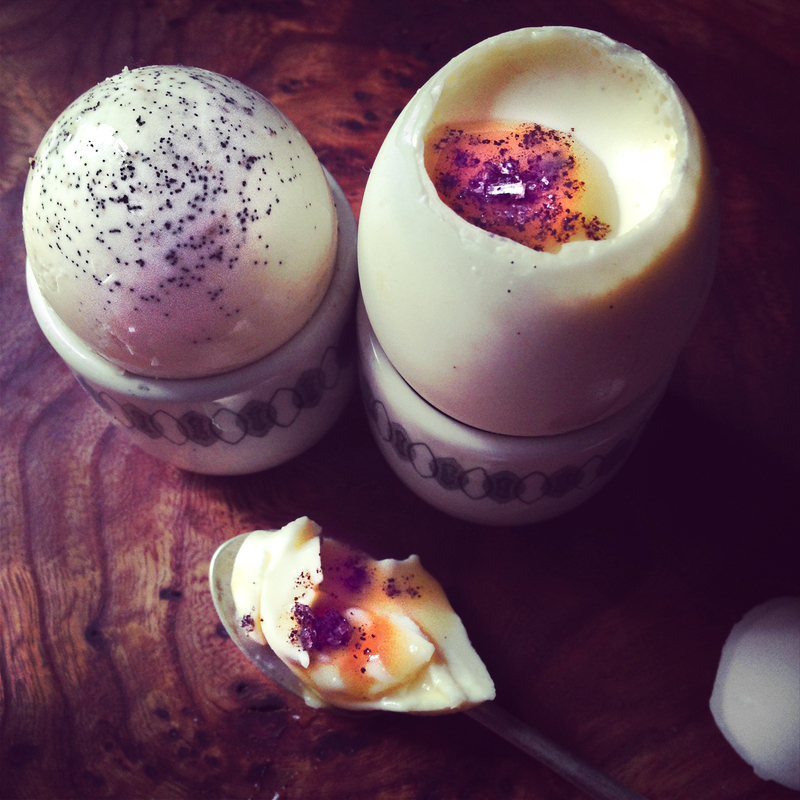 Pour the panna cotta mixture into each egg (stand them in the egg tray to keep them nice and upright). *If you want a hidden yolk see note below. 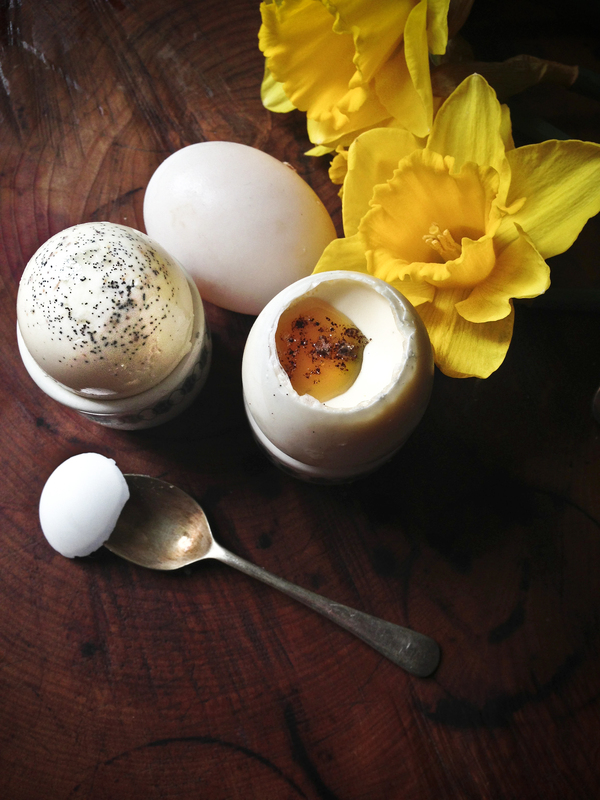 *OR if you want a hidden yolk like the egg on the right in the above pic, carefully peel the shell away from the egg turn upside down so you get the vanilla seeds on the top, carefully slice the top off then scoop out a little bowl in the centre, fill with sauce and replace lid.